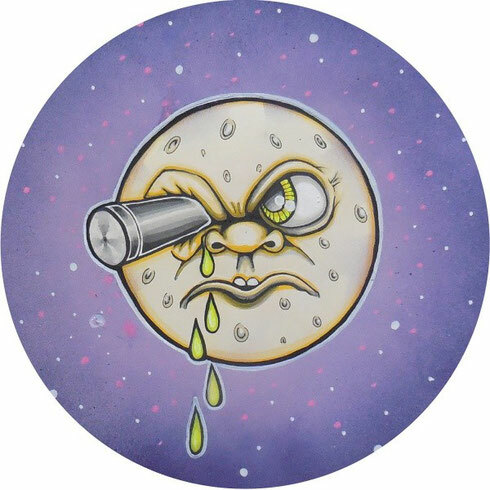 Mark Jenkyns and Christopher Sylvester have joined forces as 12 Stories to release the ‘Night Obscure EP’ on Hot Creations. The EP features two original tracks plus an remix from Bunte Bummler. On the A-side, the acid induced ‘Showtime’ uses a sample from a ghetto fight to aptly fit the name of the track. After spending a lot of time in the studio and using numerous bits of Roland gear, the second track ‘Night Obscure’ finally came together when Mark’s neighbour spontaneously sang a French poem for the the vocals. No stranger in the Hot Creations camp Bunte Bummler uses the vocals to full effect over deep chugging percussions, while keeping hold of the sonic energy that flows through the EP. A chance meeting on the way to Croatia some four years ago led to the creation of 12 Stories. The duo’s production efforts have so far seen a remix of Mark’s release ‘On Me’ on Hot Creations and a remix of Walker and Royce. This release is their first original output as 12 Stories and paves the way for much more to come including releases on VIVa and Leftroom. The project plans to bring both of their musical styles and influences together to create something completely fresh and exciting. Originally from South Shields, Mark Jenkyns has enjoyed a series of releases on Hot Creations, Hot Waves, Crosstown Rebels and Dogmatik. Christopher Sylvester under his Inxec alias has released on a wealth of labels including Contexterior, Last Night on Earth, Leftroom, Get Physical, Culprit and Crosstown Rebels. Mannheim natives Bunte Bummler aka Fabian Winkels and Manuel Vobis met 12 years ago in the graffiti scene, although several years would pass before they joined together to produce and DJ. Releases have appeared on the likes of Hot Trax, Recovery Tech, Deep Tech Records, Viva Music, Leone, Defected and Cecile.